Magento 2 FAQs Extension allows admins to create and customize FAQs page to put all questions and answers in one place for saving customers time. In the frontend, when customers click FAQs shortcut in the menu bar, they will navigate to FAQs Main page with multiple categories for FAQs. Each category will be presented with category image and a block of questions. Customers just need to click each question in that box to show answers. Besides, on FAQs main page, online customers can know and find the most recent and related FAQs on the left side of Magento 2 stores. 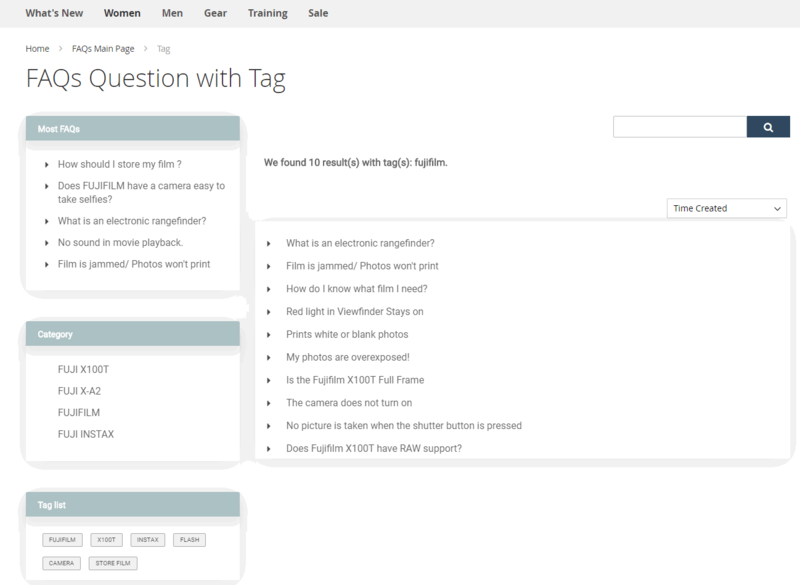 Using Magento 2 FAQs extension, when customers search question, the search result will base on tags and keyword to display those question on FAQs Search Result page. Magento 2 FAQs extension allows showing FAQs on the product page so that customers can easily find answers to the questions related that product. 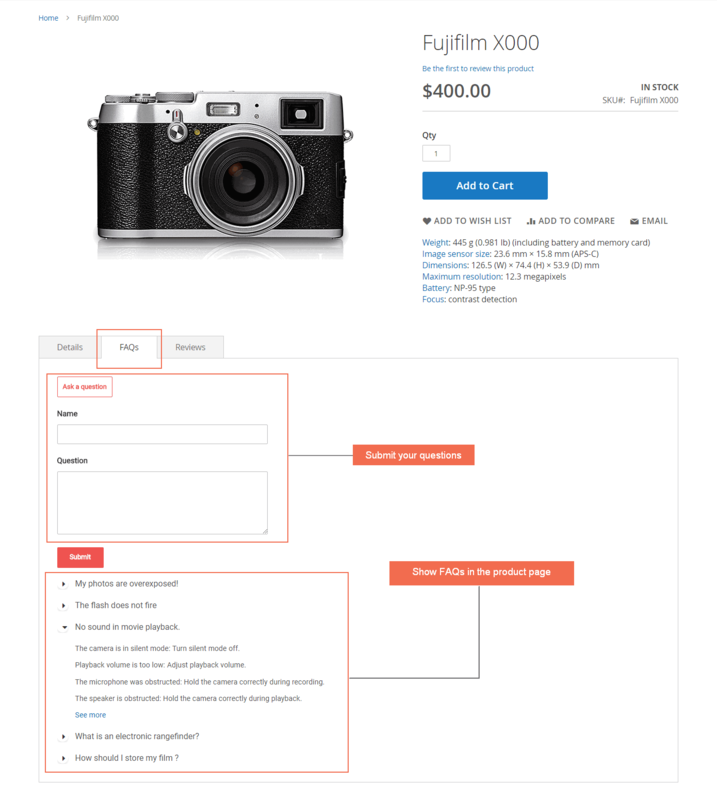 By putting all questions and answers in one place, online visitors no longer navigate to product pages to find information about frequently queries. They want to know whether you’re suitable for them immediately. 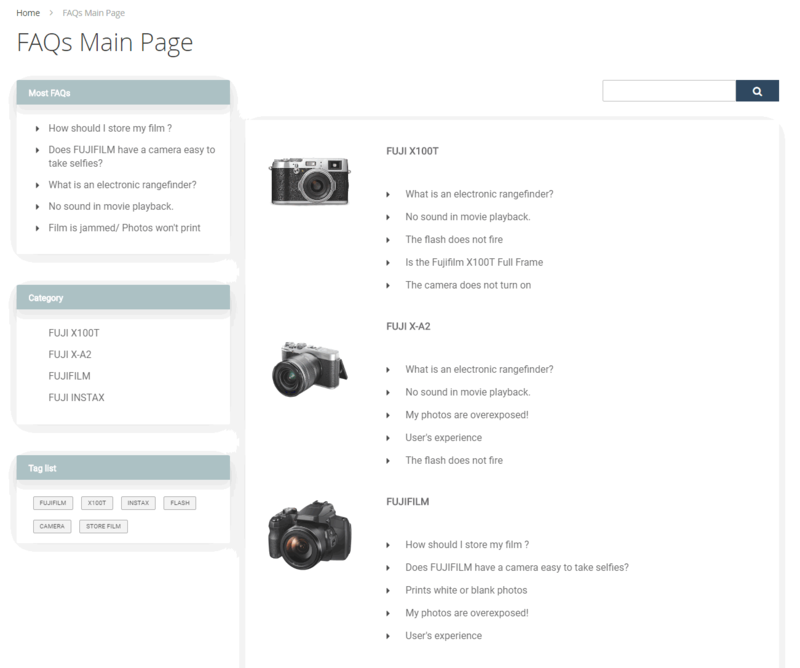 So the FAQ page helps you put all basic FAQs in one place, and definitely saving your customer time. Obviously, when you provide answers to customer questions as soon as possible will make customers be happier. When installing Magento 2 FAQs extension, customers are provided more knowledge about the concerned product by admin, your credibility will be increased apparently. Moreover, they will trust your site more than others with nice and informative FAQ page and question detail pages. I think all common questions should be listed in a place so my customers can easily find the answers. This Magento 2 FAQs extension makes me satisfied. Good job. 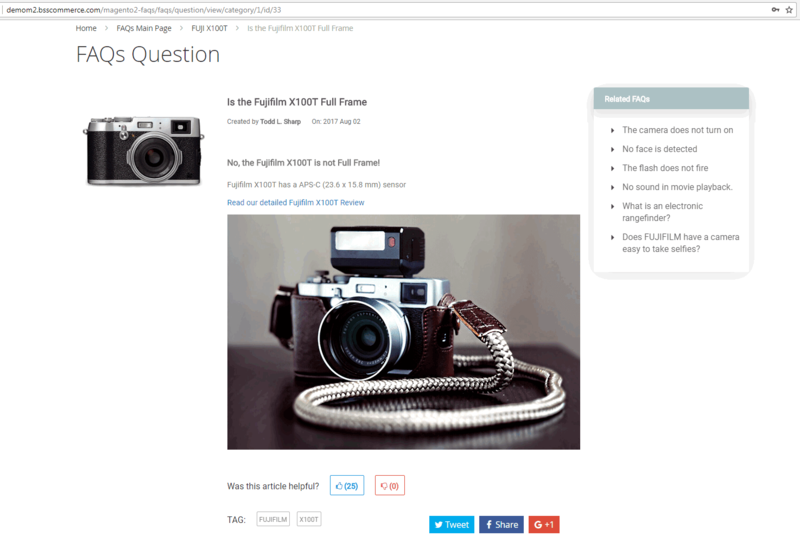 I think FAQ is one of the necessary function for a website, and I tried this plugin. It is good. Work well and have a nice theme. It works great for UX and UI. Good support within 24hrs to fix issues.